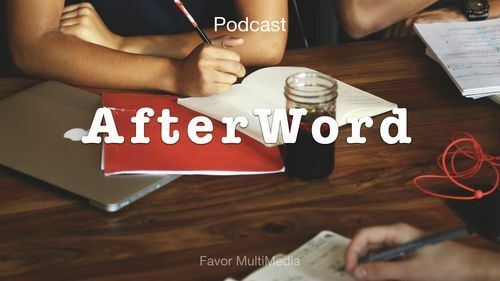 AfterWord is a biweekly christian podcast with unrestrained transparency. Join Lulu Algarin, Rachel Allman, and Kyrus Whitehurst as they discuss insights from messages that are cutting edge, life changing and relevant to real christian life. Rachel Allman is a married mama of two who is walking in God’s promises with a constant supply of caffeine and grace. When she’s not mommin’, you can find her empowering women as a childbirth educator and doula. Lucila “Lulu” Algarin is a native of Newark New Jersey and a married mother of seven. She manages a full time job in the medical field while navigating the hurdles and joys of a Christ centered blended family. Kyrus B. Whitehurst is a Psychology Doctoral Candidate. She is the youth pastor at FavorNation Church and a christian conference speaker. She’s planning to use her psychology degree to coach professional athletes through the psychological barriers impacting their performance. SoulStir is stimulating conversation hosted by Kimberly J with encouraging thought leaders who provoke spiritual change. The dialog provides some revealing and fresh perspectives on some traditional topics that will stir your soul and strengthen your Christian walk of faith. Kimberly Boyd Jenkins (“Kimberly J”), is an nationwide on-air radio personality and co-producer of the weekly program “The Kim and Colby Show” ( airing on iHeart Radio and WHOV 88.1 FM ). This accomplished entrepreneur, author, wife and mother of three; is motivated to create content that helps others become the best version of themselves.